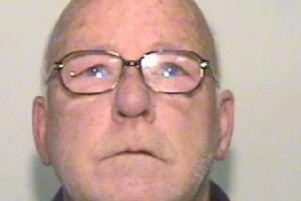 A double Wigan killer is back on the streets today. Darren Pilkington walked out of prison this morning (Wednesday) having served 10 years for the manslaughter of his teenaged girlfriend Carly Fairhurst. The victim’s parents Trevor and Sheila received the phone call they had been dreading at their Hindley home from the Ministry of Justice saying that the 35-year-old, who previously served time for beating friend Paul Akister to death, was now at liberty again. The couple had been bracing themselves for the announcement since learning that Pilkington’s latest appeal to the parole board had been successful. But Mr Fairhurst, who is on sick leave from his job following surgery, said: “We knew the news was coming but now the reality is here it still knocks you back. “The probation people said they would let me know of any developments but there wasn’t really much more to say. We just have to try to carry on as normal. Pilkington must abide by a whole set of condition, some lasting 10 years - otherwise he will find himself back behind bars. These include being forbidden to attempt any contact with his victim’s immediate family and to enter an exclusion zone roughly described by the M6, M61 and East Lancashire Road. The 400-square-mile area covers the whole of Wigan borough plus parts of Warrington, Chorley and Bolton to keep him a safe distance from Hindley. The Fairhursts have asked the public to be their eyes and ears, reporting immediately to the police any sightings of Pilkington within the ban area or any other behaviour which may constitute a licence breach. Other restrictions with which he must comply include initially living at an approved probation hostel and be under curfew from 9pm to 7am; he must also sign in daily at the hostel at both 11am and 4pm. Under Clare’s Law, if Pilkington forms a romantic relationship, he must inform the authorities. He will undergo regular drug and alcohol tests and officials will also be looking out for any unusual changes behaviour changes. Pilkington also has to complete a number of courses while in the hostel. Failure to abide by any of the conditions will see him arrested and the parole board deciding how much longer he needs to spend back inside. Once released again, the licence “clock” would then revert to 10 years. It was in January 2006 that Pilkington pushed Carly downstairs at a house they were minding for a friend in Ince and then left her all night with grave injuries from which she never recovered. Initially he was charged with murder, although the prosecution later accepted a manslaughter admission.